To rank high in search engine result page, you need to integrate blogging with right Blogging & SEO tools. The best free SEO tools can help to drive Traffic to your Blog & make your blog rank high. Essential SEO Tools 2019 can be used in Keyword Research and Analysis, Link Building, Content writing, Meta Description Optimization, Competitor Site Analysis so that you can boost your Position on SERP and increase your Market on the Internet. Here are the best alternatives to Premium Blogging Tools, you can find most of the features as in premium SEO tools. 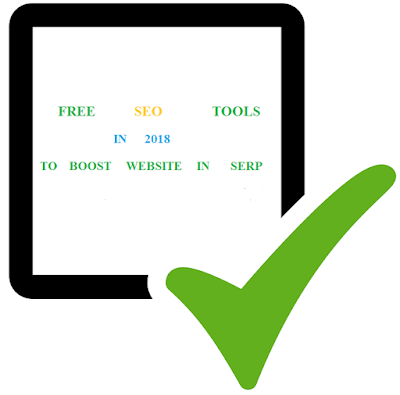 USing these Free SEO Tools every blogger will increase position in SERP with Keyword Research tools, Keyword suggestion tools, DA/PA checker tool, link analysis tools, Backlink checker tool. You can do better Competitor Site Analysis with these best free SEO tools. 1. keywords Research and Analysis with keyword tool analyzer and keyword planner with the proper placement of keywords in your Title, Meta Description, Content, Anchor Text. 2. Content is king of SEO, it is the most important technique to get the best rank and free organic traffic source in SEO. Visitors come to any site to get some knowledge by reading some article or a post so you have such amazing content in your site so that visitors will be attracted easily and they will return back to your site again and again. The best content will make your visitors engaged for a long time and reduce the Bounce rate of your website. So, Learn Content writing method with seomoz.com. 3. 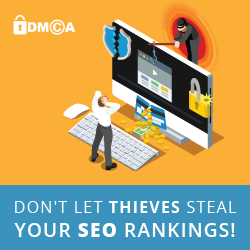 There are many more competitors which are also in high rank so you should have to know about your competitors like which type of keywords are they using on their site, what is their link building strategy. So analyze your competitor's site/blog with semrush.com. 4. Find any errors that can occur while crawling and indexing on your site by Google with Google webmaster tools or "Google Search Console". With Google search console you can find your rank position, your impressions on Google. We can submit a sitemap that is index or table of content on our site or blog to Google robot. Using Google search console you can tell google robots, which page should be crawled and indexed and which not should be. Use Back-link building techniques with Do-Follow backlinking and Directory Submission. Using this back-linking technique you will get one Do-Follow after each Do-Follow back-linking. Do-Follow Backlinking is done by just commenting on a post on any website. If the admin of that site liked your comment then he will approve your comment and you will get one Do- Follow back-link. Read the whole post up to end. Ask a question to admin related to that post. Directory submission is done by submitting a site to online web directories. We can found many sites that have a high ranking for directory submission, here we can choose a directory that is related to our site niche. 6. If you are using WordPress then you can download Yoast s.e.o plugin. Yoast SEO will give a free guide while writing content, it will help to put main focus keywords of a post, it will guide to use Google Webmasters Tool in the best way. A useful Info blog for beginners that will help you in Blogging, Wordpress, Affiliate Marketing, Social Media Marketing, web hosting as well as SEO. It will lead beginners on the track of SEO bloggers. Social Media are also the main source of free traffic source that is "Social Media Traffic". Here are some social media that will help to get social media traffic. Facebook: By sharing your links on pages, groups you can get huge traffic sources from facebook. Reddit: Reddit gives you a platform for submitting content and links, voting and many more. Tumblr: a huge social media platform for following any field you like and sharing it. Use AddThis tool that will provide social media sharing plugin for WordPress and code for blogger. Alexa Rank Checker Tool is a free tool for Alexa users, it enables to find out Alexa Ranking of any website in Alexa System. Alexa Rank checker also helps in checking Alexa Traffic to our website, Local and Global rank of our website based on different factors. Grammar checker is the most useful tool for the content writer as well as bloggers. We all know that Search Engines like Google also considers grammar, spelling, sentence structure and if there are grammar mistakes in our content then our site will not be ranked on Google. To solve the problem of Grammar, there is Grammarly that is chrome browser extension, once it is enabled in our browser it will help in content writing and automatically detects any kind of grammar mistakes and spelling mistakes and give suggestion to solve these errors. Keyword Density is the percentage of times a keyword is visible on a web page compared to the total number of words on that page. Keyword Density checker mainly checks the relevancy of a webpage for some specific keywords. Google PR is always from 0 to 10. Those sites having their PR between 0 to 2 are called Low PR sites and sites having their PR between 3 to 10 are called High PR sites. Check Page Rank of your site now within one minute. The Dashboard of Google Analytics contains some useful Tools in its Left sidebar that allows a webmaster to see where traffic and backlinks are coming from?, What is the bounce rate, Session rate, session duration of a website? Google Analytics shows the real-time behaviour and performance of your site. Google Analytics displays the current audience with Country. Most widely used SEO Tool by many Webmasters and SEO experts. Most of the webmaster thinks that the page rank of a website increases as Domain age of a website is older so they use Domain Age checker tool. Older Domain Age also matters since such website has better High-Quality backlinks, they are more exposed to the users and has a strong reputation, these websites have High Page Rank and more traffic source from search engines. a. Go to Domain Age Checker Tool. b. Enter a domain name to check and click on "Check". Its importance can be known according to its name that checks the size of a page of any specific URL. If a website has a High page size then it means that it takes a high time to load. The website having slower loading time can reduce the visitors since visitors can not wait for such a slow loading website and it results in a high bounce rate. Awesome free SEO tool available on both web and play store for mobile. Sinium tool is a store of all important SEO tools in one platform. Sinium SEO provides Ranking tools, Research tools, Performance tools, On-Page SEO, Off-Page SEO, Blog/News SEO, Domain tools, Security tools like (AVG Website Scan,Google Malware Scan,Blacklist Lookup, MD5 Generator, URL Rewriting Tool), Email Extractor, My Browse Info, My IP Address, Website worth estimator. Ranking Tool enables to know Alexa rank, Moz rank, Page Authority, SEO report card of websites. Ranking tools easily provide all the necessary data about the rank of websites with Page Authority. Research Tool provides research data of websites like Adsense calculation, broken links, code to Text Ratio, DMOZ listing, Google cache, Links analyzing, Mobile friendly Testing, Page size, SERP keyword position, social status, source code, Spider simulator, Links counter, redirect check. Performance Tool shows how a website is performing and how it is loaded on visitors devices. It provides the facility for testing GZIP, Server status, webpage speed, Image Optimizer. GZIP server status checks whether a website is sending GZIP compressed header to its visitors. Image optimizer sees if an image is attached with Alt Text or not and how images on a website are optimized and it is a technique to reduce the file size of images by decreasing the number of colours in images. Blog SEO enables a blogger to optimize its content with a beautiful content writing technique. It contains tools like Article rewriter, Word counter, Grammer checker, Wordpress ninja. Article rewriter helps in writing a unique, optimized, clearly understandable content. Wordpress Ninja checks a website to find out either it is built on WordPress or not. Domain Tool is most amazing tool inside SINIUM SEO that mainly provides facility like Class C IP checker, DNS Records, Domain Age, Domain Authority, Domain Availability, Domain IP Lookup, Reverse IP Lookup, Hosting Provider Lookup, URL encoder/decoder. As said Content is king of SEO so to rank a website in the top position of Google SERP we mostly require Unique Content without any Plagiarism. Since Google bots only crawl and index to those blog post who have Unique Content. While self- unique content writing there may be a chance of Plagiarism which would decrease the popularity of your website so to check whether there is any Plagiarism in your content Plagiarism Checker Tool will be important SEO Tool for you. Plagiarism Checker Tool analyzes your every line of content and gives a report of "Plagiarism" and "Unique Content" with their Percentage. Excellent article with really good pointers - some of them I knew already but some were clarified and some were totally new! Thank you for sharing this with us. I am bookmarking this for future reference. The tips are awesome. You have here helpful tips that can take a blog to point one on the internet. Proper keyword usage, heading, domain age checker, Google page rank checker, and the likes-- the content is deep! thank you Onis Sampson for your response, I hope you will also find other Post in my blog more useful. Respecting the time and exertion you put into your blog and point by point data you offer.Thanks. Hi.. This is very nice and informative article. I really liked it. Visit our website for Digital marketing course in pitampura. Thank you Robert,you can enjoy other Posts related to SEO, Blogging. thank you Jims Linda for whatever good things you have written here about my content, hope you will enjoy to get more knowledge about Blogging, SEO and Adsense by reading my latest articles. This article is for those looking to retain or purchase SEO services. SEO services often times cost thousands of dollars for quality work and the most experienced. It is a daunting task to weed the competent from the incompetent. The article provides you with advice and tips for making the right choice when obtaining niche blog comments services.